The first phase of the Orne digital masterplan includes plans for fibre optic connections in 109 Orange intermediate distribution frames by 2017. These will enable speeds of over 2 Mbits/sec for around 30,000 residents who still do not have a high-speed connection. By 2020, 36% of households in Orne will be directly connected to the fibre optic network in the urban areas of Alençon, Argentan, Flers and L’Aigle. 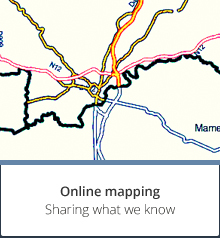 Orange is currently working on two programmes in Flers and the Alençon urban area. As for Orne Council, it will be investing in fibre optics for the towns of L’Aigle and Argentan, for an estimated cost of 20 M€. 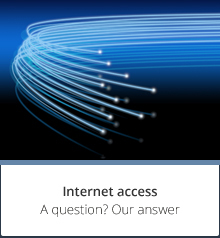 Because they are located too far from telephone exchanges and intermediate distribution frames, some Orne residents will not have fibre optic access (i.e. very high-speed internet) by 2020. However, they can already get a quality high-speed connection over the airwaves (wireless local loop, satellite and WiMAX). 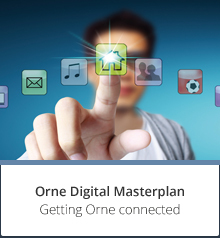 As part of the Orne digital masterplan, Orne Council has introduced a system of grants to help householders cover the cost of internet access in areas where the copper network is not compatible with ADSL. This council aid partially covers the cost of fitting satellite, Wimax and wireless local loop technologies. It is limited to €150 or €450, depending on whether or not beneficiaries purchase the connection kit. This policy aims to give everyone access to satisfactory speeds using wireless solutions. A shared, neutral collection network (departmental collection network) could be developed after 2020. Alongside this scheme covering telecommunications infrastructures, digital services are already the focus of investment by Orne Council ,with dematerialisation and procedures available on Orne.fr, the creation of telecentres, and development of innovative digital services. These projects will be continued as part of the new masterplan.